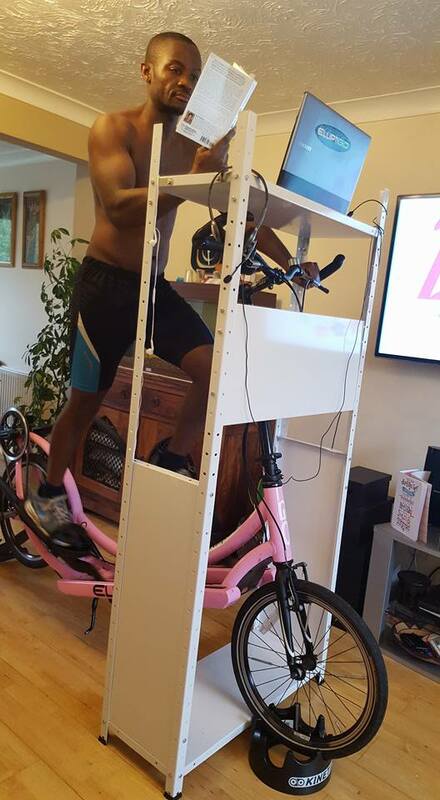 I like to spend my training time on the ElliptiGO indoor trainer productively and I sometimes find that laid back indoor training sessions give me a good opportunity to write short health & fitness articles on whichever topic is hot on my mind at the time. Here’s my latest such article, about a dramatic 50% increase in my upper body strength-endurance (which has happened to me over the last 10 weeks – completely by accident). As I write this article I am in the midst of an interesting experience which has been taking place between 1 September 2015 and now (22 November 2015), which has involved me observing a gradual but steady improvement in my upper body strength-endurance, without me actually trying to make it happen. Being a big believer in goal-setting for sports and fitness it’s always surprising to me when something meaningful (and normally difficult to achieve) simply happens without any planning – and that’s exactly what I’ve recently experienced. At first I hadn’t thought much about this surge in strength and endurance when it had started. But as it had progressed to a 50% increase I was finally ‘forced’ to take notice of what I was experiencing (and to question if it was really happening – and, if so, why). I have observed the strength-endurance increases in every upper body exercise I do, but most notably/measurably in body-weight exercises (namely Push-ups and Pull-ups). Push-ups and pull-ups are exercises I’ve been doing for over 30 years now and in the last two decades my repetitions have been pretty stable. Push-ups don’t really require much strength to execute, but pull-ups do. So when I train I will often do push-ups after pre-exhausting my chest, shoulder and arm muscles through other more strenuous exercises. 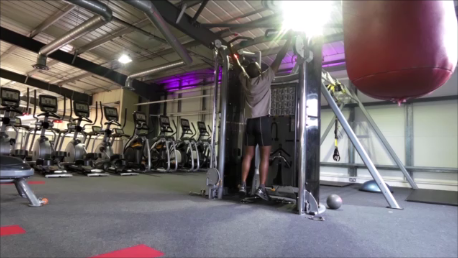 I always do pull-ups as my first upper back exercise, so the change in my ability in that particular exercise can be very accurately assessed in this regard – and my focus in this article will be mainly on my increase in pull-ups. So – what has actually happened? 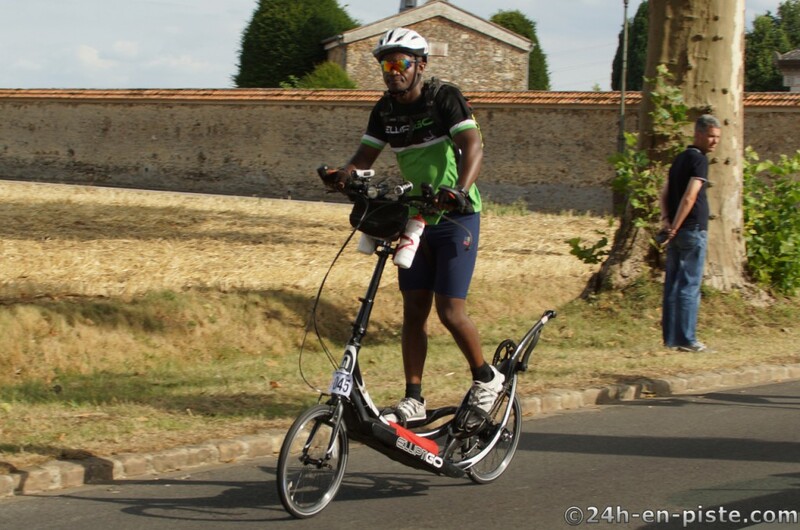 Okay – in August 2015 I successfully completed the 765-mile Paris Brest Paris Audax endurance cycling ride on the ElliptiGO bike, in 83 hours & 38 minutes of almost non-stop riding (a full report can be seen here for those who want more details). It had marked the end of my cycling season because such a brutal undertaking calls for a good few months of rest and recovery. So, after a 2 week complete break from formal exercise, I had switched from ‘training’ to general fitness off-season exercising, both on the bike and in the gym. At the same time, my wife had started a new college course – meaning that I needed to supervise the children on most evenings during the week and could no longer go out for my bike rides. So I had made a few changes to my general schedule – the main one being to take up mainly indoor training on the bike, so I could train at home whilst supervising the children – or when I was waiting for Ivy to return from her evening courses. Indoor training on the ElliptiGO is less intense than outdoors, for many reasons (the main one being the limited flywheel resistance making it harder to simulate steep hills). So I had made some adaptations to my leg training routine to facilitate extra hill climbing strength-endurance conditioning through the adoption of a High Intensity Interval Training (HIIT) weight training routine (using squatting as my main exercise in the HIIT routine). I train once weekly in the gym, so my upper body workout always follows my leg workout, in the same session. When I had first made this change (in my first gym session in the first week of September, 2015), the changes to my leg routine were definitely making me feel more tired when transitioning into my upper body exercises immediately after the leg workout – but it didn’t seem to have any negative effects on my actual repetitions of each upper body exercise – which was fantastic news at the time. In ‘the back of my mind’ I’d noticed, in the following week, that instead of my usual 10 pull-ups feeling satisfactory, I had felt like I should do 11 reps (and I had done so without feeling more fatigue in my hands – or in any of the muscles involved in pulling myself up – than when I used to do 10 reps). The next week it was 12 reps before I had wanted to stop. Then 2 weeks later 13 reps. Now, ten weeks down the line, I’m at 15 pull-up reps. It had been a natural and unintentional progression. I usually aim to do my pull-ups until I feel like I can only squeeze out just 1 more rep, at which point I will stop. For many years that point was at 10 reps – but now it’s changed to 15 reps. I am an endurance athlete and I don’t feel the need to ‘body build’. I value my power-to-weight ratio greatly and do not believe in adding non-functional muscle bulk to my frame. A needlessly heavy upper body just adds overall weight (and steals oxygen) meaning that it impacts negatively on the performance of an ultra-endurance athlete. It’s undeniable that additional upper body strength-endurance will benefit riders of ElliptiGO bikes, like me (either by enabling a stronger core for energy transfer – by holding the steering column and handlebars in one plane – or, conversely, by enabling better generation of forward drive via some sideways handlebar and steering column movement). But the upper body strength and bulk required for enhanced endurance performance does not necessitate high volumes of training and I usually do just one set of each exercise, working to my 10 rep maximum (that’s the maximum weight I can lift for 10 reps). For body weight exercises the only way to increase endurance and intensity is to increase my reps, because the weight of my body doesn’t fluctuate hugely – which is why these body weight exercises were the ones that most clearly demonstrated this improvement I am writing about. When I had naturally ‘migrated’ from doing 10 reps to doing 15 reps of pull-ups, across just 10 weeks, I had to ask myself what was going on – and I had felt a strong need to understand this situation better. I had checked my weight, first of all, to see if it might have reduced in this period – but it had actually gone up by 2kg since my completion of the PBP endurance ride (which is normal for me in the off-season). So a lighter body weight did not explain why this effect was occurring in my body weight exercises (my weight usually goes up by 2kg, or sometimes more, in every off-season – but my upper body strength does not normally change as a result). I’d remembered, from many years ago when I had first started writing strength & conditioning articles for martial arts magazines, that the popular guidance in body building and strength conditioning literature was to direct athletes to rely on ‘compound’ leg training exercises – especially squats – to induce increases in the production of anabolic hormones post-exercise (these are hormones like testosterone and growth hormone). Compound exercises (namely the squat and deadlift) if done in high reps and at a high intensity (i.e. with very short breaks between sets) will induce an increase in anabolic adaptive hormones. This hormone-boosting effect tends to last for about an hour after training (which backs up the ‘culture’ of starting post-workout nutrition and recovery activities immediately after finishing a session of high intensity exercise – to capitalise on the enhanced metabolic adaptation period when your hormone secretion is at its highest). Weight training sessions must not exceed 1 hour in duration – or this ‘hormone-boosting’ effect is likely to be cancelled out by the production of ‘stress-related hormones’. Not all compound exercises are ‘equal’ in this regard. Upper body compound exercises apparently have not been demonstrated to have this ‘hormone-boosting’ effect – and even among leg exercises one study claims that squats and deadlifts produce this hormonal effect – but not leg presses (although leg presses are an almost identical machine-based alternative to the squat). Point (4) in the above list catches my attention the most – in relation to solving this ‘mysterious’ 50% improvement in my pull-up reps – because in past seasons I have done similar HIIT leg workouts to the ones I am now doing (but using leg presses instead of squats) and I have not seen this upper body strength-endurance effect I have just described. So my belief at this point is that my upper body became stronger because my new HIIT squatting regime induced a higher production of anabolic hormones – which has led to greater adaptations to exercise across the last 10 weeks – and has induced the same improvement in my upper body exercises as it has induced in my (target) leg exercises. As I said, this upper body improvement was not an issue of interest to me when I had switched my leg routine to HIIT, but the effect was so noticeable that I decided to explore it further in order to fully understand it. The big ‘learning’ here for me appears to be that if you are interested in maximising your overall adaptability to high performance training the adoption of a high intensity, high volume, LEG EXERCISE routine is probably worth considering. This logic, if it’s accurate, would apply equally to endurance athletes (like me) as it does to all other types of athletes who want to develop more strength or endurance in their UPPER BODIES. So it appears, from this logic, that by training the legs under a high intensity and high volume resistance exercise regime, one can increase upper body strength and endurance more easily than by just trying to train the upper body harder. I hope these insights have been useful, but if you have related queries – or if you would like to clarify anything discussed in this article – feel free to contact me directly.